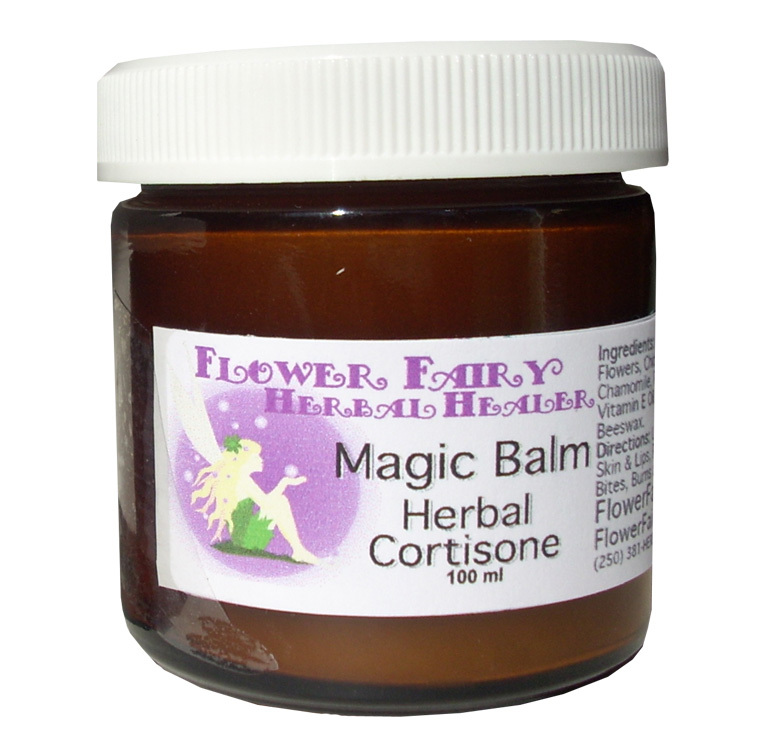 Description: Magic Balm Cortisone Alternative Salve Multi-purpose salve, great for the first aid kit. It uses 10 herbs including echinacea, goldenseal, calendula, evening primrose oil & red clover. Similar products have clinically tested to have a 90% success with eczema/dermatitis. Customers find it beneficial for eczema, dry skin, dermatitis, rashes, scrapes, minor burns, non-poisonous insect bites, mild shingles & some psoriasis cases. There are on going studies on the long term use & side effects of traditional pharmaceutical topical cortisones & pharmaceutical anti-biotic creams which can lead to bacterial resistance & lack of effectiveness over time. We offer a natural alternative to these. Our product may help heal the underlying skin condition to bring your dermal layer back into balance, addressing the underlying cause, which may stimulate your own natural defences to help improve the condition. It can help cold sores, however our Cold Sore Balm is more specific to that issue.